Comodo Dragon is web browser developed by well known Security Software developer Comodo and based on Chromium technology, like Google Chrome. Comodo Dragon is focused on combining simplicity with functionality, thus the interface is quite minimalistic, displaying only the address bar and the navigation buttons. 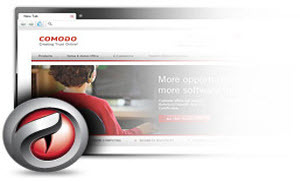 Designed to be simple and easy to use, Comodo Dragon is a fast browsing solution that can be enhanced if the user chooses to install add-ons. Besides the basic browser functionality and features, it offers superior protection options that you can use to make the browsing experience more secure. Comodo Dragon offers advanced privacy and security features, considering the growing number of online threats. The browser places a lot of emphasis on the user privacy, so just like Chrome, it allows you to use the Incognito Mode to navigate on the web securely.